Two years after more than 4 million women around the world took to the streets in protest of Donald Trump’s inauguration, demonstrators are once again coming together for the third-annual Women’s March. But what do these protests accomplish? 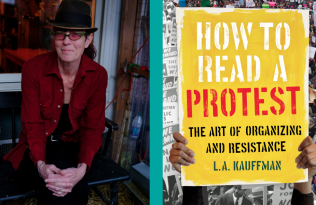 In her new book How to Read a Protest: The Art of Organizing and Resistance, longtime organizer and movement journalist L.A. Kauffman writes: “Protests works—just not, perhaps the way you think.” In just two years, the Women’s Marches have inspired hundreds of women to run for office, millions more to vote, and dozens to win elected positions. 2019 marks two years of galvanizing and an unprecedented number of electoral victories for women in the recent midterm elections. For the first time ever, more than 100 women have been sworn in to the House of Representatives, just over a century after the first woman was sworn in to Congress in 1917. 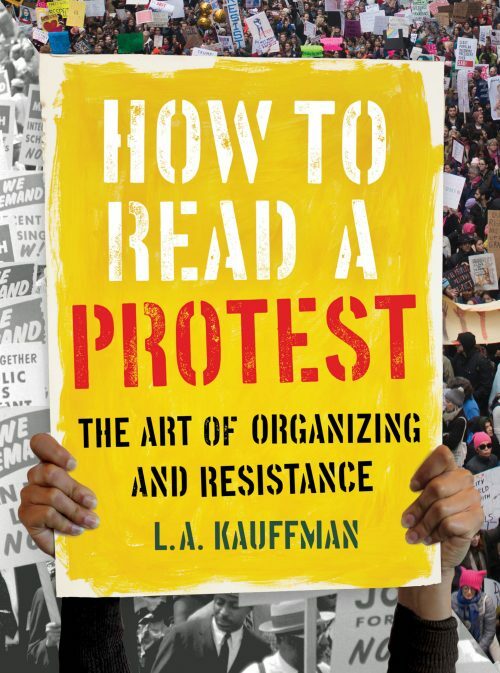 The following excerpt, adapted from How to Read a Protest, sheds light on the power of protest and what’s politically possible. Part of the power of the Women’s Marches was that they never even pretended to be about applying direct pressure on the new president. They were sending a different kind of signal. The trajectory of movements is long and slow and complex. Protests do sometimes force direct concessions—smaller, sustained, targeted ones do so more effectively than mass mobilizations—but that’s far from the only way they can be effective. Organizing isn’t a science—it’s an art. When the odds are against you, protests can shift the terms of public debate or expand the sense of what’s politically possible. They can motivate people on the sidelines to step up and take action. They can put an issue on the agenda, or increase the urgency with which it is addressed. They introduce friction where injustice depends on the illusion of harmony. The work that protests do often can’t be seen in the moment. Their effects tend to be subtle, dispersed, and catalytic. There are occasions, of course, when you’re destined to lose whatever it is you’re fighting for, and a protest is just a cry of frustration. But other times the arc of history does bend toward justice, and there are magical moments when—often quite suddenly—you win. Protesting is always an act of faith, a gamble that action might spark more action, that inspira- tion will travel in unpredictable ways, that taking a bold public stand will set new forces into motion, that justice will prevail. Perhaps the biggest challenge that movements face is sustaining the hope that’s required for people to keep taking action over time. So sometimes the most consequential way a mass protest can work is by changing the protesters themselves, giving them the taste of collective power they need to stay in the fight. . . . 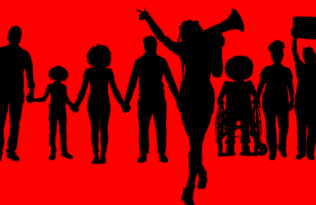 The impact of a protest comes from a complicated equation, involving not just the number of participants, but the character of the action, the vulnerability of the target, and the ability of the underlying movement to persist and build beyond a single mobilization. The internet has, without a doubt, made it easier to summon large crowds on short notice than it was when mass protests began in America back in 1963, which in turn has made size alone matter less than ever. 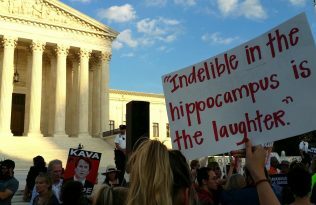 The large permitted protests that have become regular features of American life can accomplish many things, from changing public opinion to putting lawmakers on notice, but no matter how massive they are, they don’t signal a threat to the existing order. The crucial question for big demonstrations, more often than not, is not how many people attend, but what they do—or don’t do—afterward. There was, it must be said, an unmistakable hint of uprising to the Women’s Marches, from the democratic and decentralized way they came together to the way they spilled over the spaces intended to contain them. They had been permitted by the authorities, but they felt exuberant and improvised, less like reenacting established rituals of protest than staking out unpredictable new political ground. In Washington, DC, although organizers had lined up some 1,500 marshals to help direct the crowds and were ultimately able to engineer a formal step-off to the march, the convergence was so large that it overwhelmed this infrastructure and marchers mostly directed themselves. 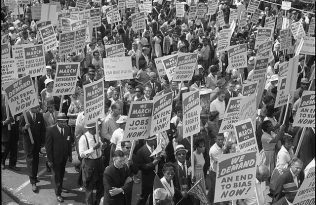 In a marked contrast to the 1963 march, the bulk of the crowd couldn’t see or hear the program on the stage; instead, they engaged with one another, taking in the messages on one another’s signs and marveling at just how many people had shown up to march that day. 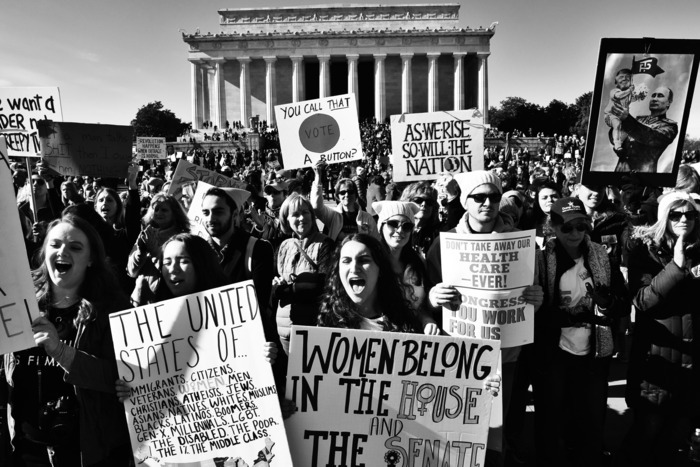 As streams of women and their allies flowed all through the city, feeling empowered by the day’s events and with the future unwritten before them, it was tantalizing to imagine what might have happened had they simply decided to stay, surrounding the White House and shutting down the city in a collective refusal to accept the legitimacy of an election in which the losing candidate had won the popular vote and the winner had prevailed only thanks to gerrymandering, voter suppres- sion, an influx of dark money, and foreign meddling. The mood was right; it might have taken only a few well-placed tactical teams to organize the restless crowds to stick around, say, for the duration of the day and eve- ning—staging an impromptu nonviolent blockade just long enough to pose an added challenge to the new presidency and set an even fiercer tone of resistance going forward. Read more and save 30% with promo code 18W8495.